Collaborative Family Law Group of NE FL - Collaborative Divorce, a better way - Home Collaborative Family Law Group of Northeast Florida, Inc.
Collaborative Family Law Group of Northeast Florida, Inc.
Collaborative Family Law Group of Northeast Florida, Inc. (CFL) is an organization consisting of independent dedicated professionals promoting a therapeutic, constructive alternative to traditional divorce. We assist families in conflict with a cooperative process that provides resources and options often unavailable to divorcing families. 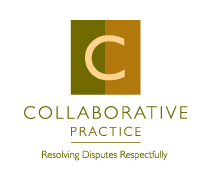 The Collaborative Law Practice model works to end a marriage or relationship respectfully. We are a group of independent professionals made up of attorneys, mental health professionals and financial specialists who dedicate a significant portion of our practices to assisting families in conflict. Each practitioner has joined CFL to provide cohesive, multi-disciplinary services in a what is most always a difficult time of transition. Realizing that the issues and concerns of most divorcing individuals do not fall into one area - legal, financial, emotional - but rather a combination of all of these, CFL professionals work to build an inter-disciplinary team to help families find better solutions. It's based on respect. It's a different way to divorce. This process offers spouses or partners an alternative that removes the adversarial element inherent in many divorce proceedings, replacing it with an approach that begins with a pledge not to go to court. It allows for an honest exchange of information. It succeeds when a solution is reached that identifies and addresses a family's highest priorities. We have all heard the devastating stories of families who have taken their divorce to court. Many of us have witnessed first hand the negative consequences of husbands and wives going to war - over the children - over child support and alimony - over division of assets.The collaborative process helps you reach an agreement everyone can live with. In the collaborative process, individuals will each work with their own collaboratively trained lawyer to assemble a team consisting of financial specialists and mental health professionals. The team works together to educate, coach, communicate, and develop workable settlements by finding and building on areas of mutual agreement. Mental health professionals, acting as coaches, teach vital communication skills and work with families to engage in a solution-oriented problem solving process. These individuals can also act as a parenting coach, bringing the child's voice to the negotiation process. Financial specialists help identify assets and liabilities, educate about alternatives for preserving and protecting wealth, and provide expertise in business valuation, taxation, and investments. The collaborative approach creates an atmosphere of open communication and cooperation that helps shape an agreement that best meets the needs of the entire family.It focuses on building brighter futures.